The Call for Abstracts for the 4th International Marine Conservation Congress is now open! The congress is accepting abstracts for oral (spoken), speed (short spoken), and poster presentations, as well as proposals for Oceans Online facilitated discussions. 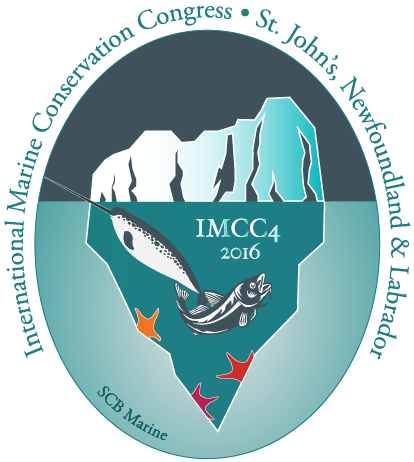 OceansOnline, held 4 August, is a full add-on day to IMCC4 focused on communication and online tools for marine science and conservation. The overall theme of the congress is Making Marine Science Matter. The congress will be organized around specific topics of interest for marine conservation in general, as well as for the local area. This list below is not exhaustive, but is mean as a guide for proposers. Other topics of interest are welcome. The deadline for abstract submission is 7 March 2016, 5pm (GMT). Complete instructions for submission are available at the congress website.